Cambridge is a city located in Southern Ontario at the confluence of the Grand and Speed rivers in the Regional Municipality of Waterloo, Ontario, Canada. 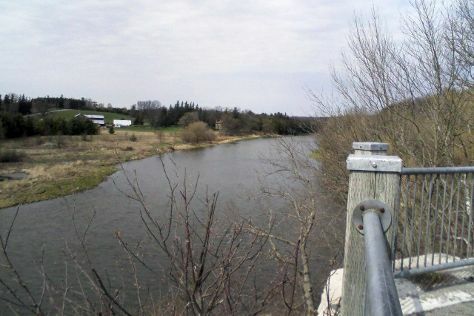 It was formed in 1973 by the amalgamation of the Galt, Preston, Hespeler, the settlement of Blair and a small portion of surrounding townships. The first mayor of Cambridge was Claudette Millar.The former Galt covers the largest portion of Cambridge, making up the southern half of the city. The former Preston and Blair are located on the western side of the city, while the former Hespeler is in the most northeasterly section of Cambridge. There was considerable resistance among the local population to this "shotgun marriage" arranged by the provincial government and a healthy sense of rivalry had always governed relations among the three communities. Even today, though many residents refer to their area of Cambridge as being Galt or Preston or Hespeler. Each unique centre has its own history that is well documented in the Cambridge City Archives. As Cambridge has developed and the open spaces between the original municipalities have been filled in, a fourth commercial core, entirely modern in its construction, has emerged. The Macdonald-Cartier Freeway Highway 401 runs through its midst.HistoryHistory of the City of GaltIn the late 1700s, developers began to buy land around the Grand River from the Six Nations Indians who were led by Joseph Brant. One speculator, William Dickson, a wealthy immigrant from Scotland, bought 90000acre of land along the Grand River in 1816; this was later to become Galt and the Dumfries Townships. Dickson divided the land and sold smaller lots, particularly to Scottish settlers. The centre of the planned community was at the junction of Mill Creek and the Grand River, then called Shade's Mills. Cambridge is in Region of Waterloo. In the build up to your vacation in Cambridge, plan trip itinerary minutiae using the visitor reviews, staff write-ups, and custom search fields on our Canada itinerary planner.